This course is in line with the Statutory Framework for the Early Years Foundation Stage (EYFS) and meets the needs of Ofsted. It is suitable for Childminders, Nursery and School staff (dealing with Foundation Stage) and anybody who deals with children and wants a more in-depth course. 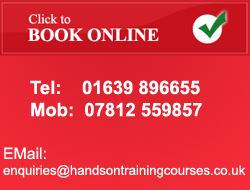 This two day (12 hour) course includes both theory and practical sessions.